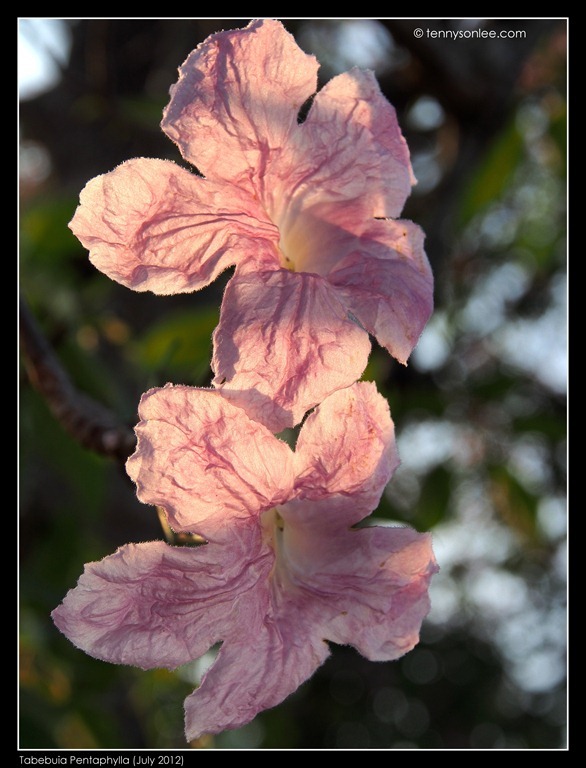 I assumed the scientific name for this lovely flowering tree is Tabebuia Pentaphylla. 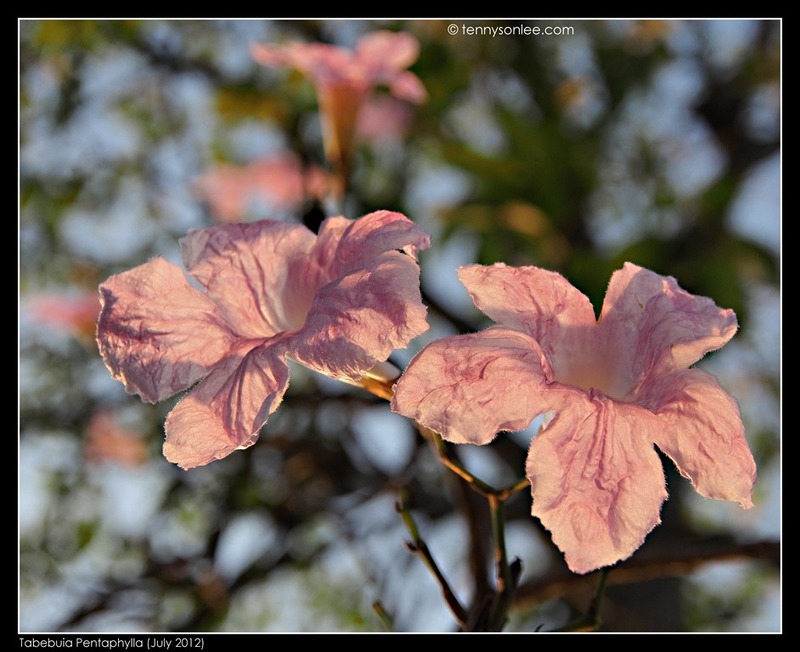 The trees planted in Malaysia are often pink or white in color. 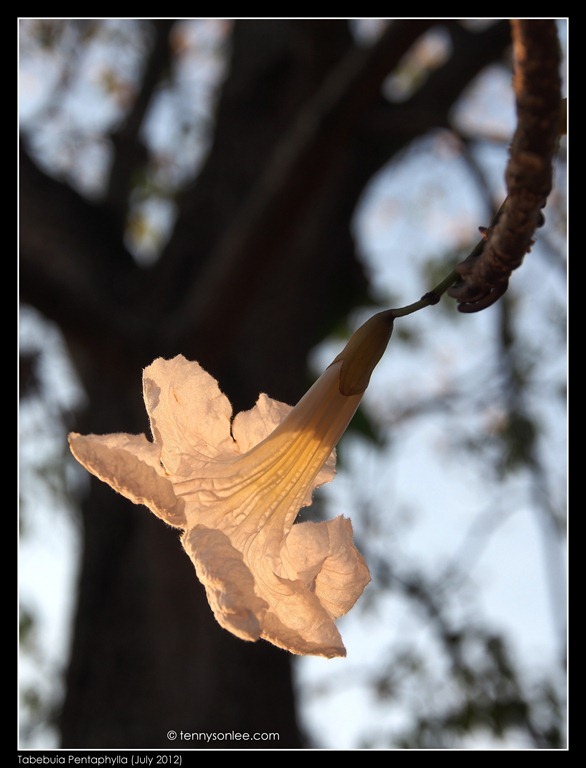 It has beautiful trumpet shape and semi-transparent petals. I guess I have to wait for the next blooming season to catch another good glimpse of the flowers. Thank you for the flowering trees for brightening up my week. This entry was posted on July 21, 2012 by Tennyson. 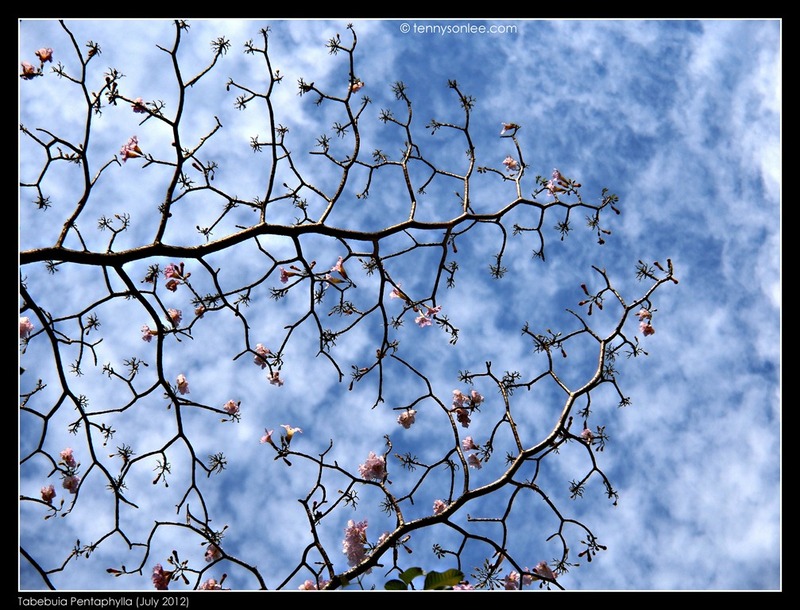 It was filed under Flora, Genre, Malaysia, Places, Selangor and was tagged with cherry blossom, flower blooming, pink and white flowers, Tabebuia pentaphylla, Tropical Sakura. They are so gorgeous. In Costa Rica, called Robles sabana. 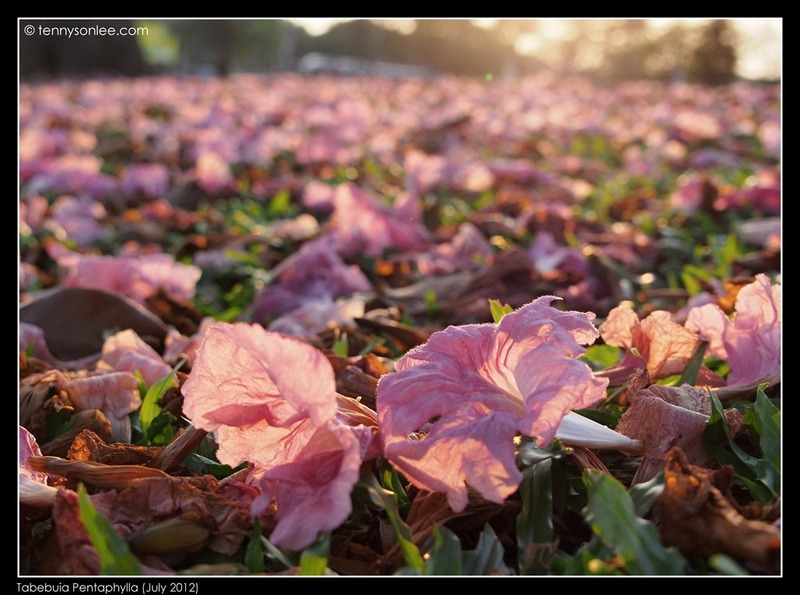 Must be nice to visit Costa Rica during its blooming season :).